Unicef Belgium wanted to attract new volunteers and invite them to an informational evening. 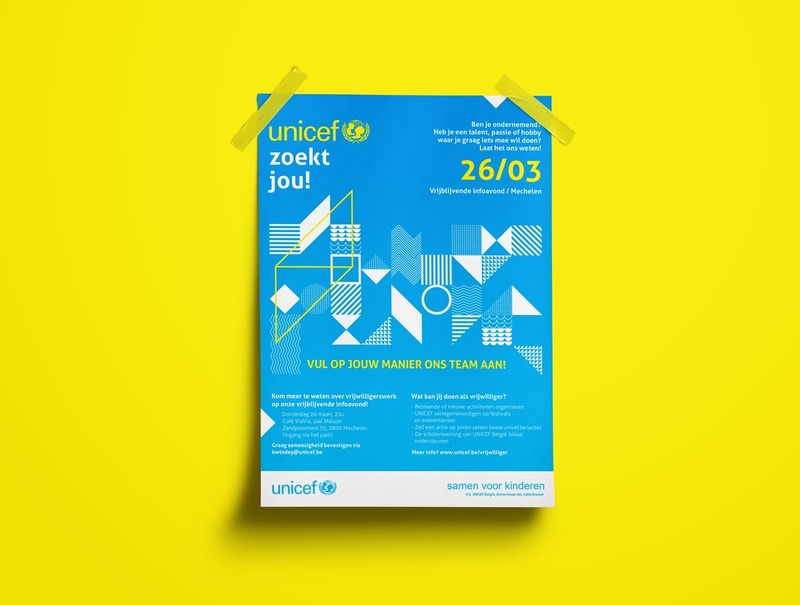 Unicef’s signature blue color is used as the main color for the poster, and bright yellow as an accent color to let the most important items pop out. The main message of the poster is “Contribute to the team, as you are”. To visualize this I chose to use different geometric shapes (representing different people with unique skills) that are connected (as a team).